Amusement parks can be a whole lot of fun for kids and adults. 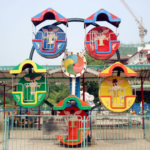 As soon as your kids are old enough to safely go on the rides, you should try to find the time to take them. 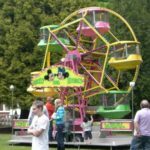 If there is not a park near your home, you may have the opportunity to go to a carnival or county fair that has many of the same rides. For example, one of the most iconic rides associated with such events is the Ferris wheel. 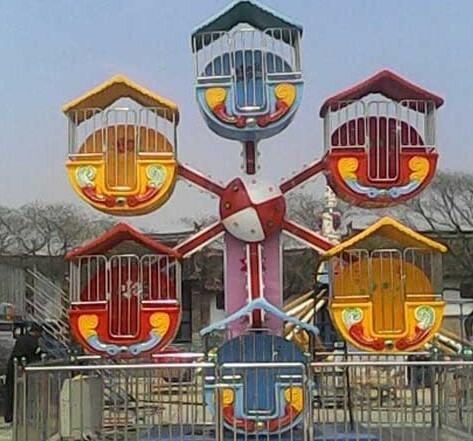 Everyone has at least seen one of these rides at some point, and most people have ridden on one some time during their life. Going up and down and around and around is a whole lot of fun. 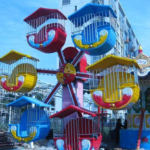 Since Ferris wheels do not go very quickly, they are a good choice for young children. Unless your child is afraid of heights, riding on the wheel should not cause him any problems. In fact, he will probably love getting to see everything from so high up in a safe and enjoyable fashion. However, young children may not be allowed on the full-size ride. Fortunately, there is a way to avoid disappointing your child. By choosing a fair or amusement park that also offers a mini Ferris wheel, you can make sure that your children are still able to have a great time, even if they are fairly young. These smaller rides are not nearly as large as the ones that are intended for adults. They can safely be ridden by even young children, as long as they are accompanied by an adult. 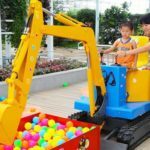 Some particularly small rides may even be suitable for infants, though of course they will not really know what is going on. When you are planning your family vacation, it is a good idea to plan ahead and see what sort of rides are available at your final destination. 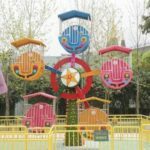 After all, you do not want to arrive at the park, only to discover that there are very few rides, if any, that are suitable for your kids. By doing a little research ahead of time, you can make sure that no one is disappointed. 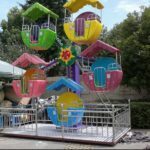 A mini Ferris wheel is a great choice when you are first introducing your kids to the world of carnivals and amusement parks. 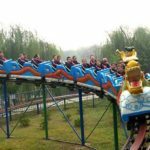 Once they have ridden on such a ride, they will want to return again and again.